This site chronicles the history of the Vinkenvleugel families of the Netherlands and also the Vinkenvleugel families that migrated to the United States during the 1840s and 1850s. It is an online genealogical reference which enables Vinkenvleugel family historians and genealogists to publish their family histories, genealogies, research, and related materials. Members may include black-and-white and/or color photographs, keep their publications continually up to date, and enable others to download or print their compilations. This site eliminates the need for the expensive and time-consuming process of printing. Please Register Now for the Big Family Reunion on Saturday, June 29, 2002 at Pamperin Park in Green Bay, Wisconsin. Click here for more details! A voice from the past! Hermanus Vinkenvleugel wrote a letter to relatives back home on March 16, 1885: Click here to read it! We have revised and expanded the Vinkenvleugel family history. You can search for names, dates or places. Click here to read it! 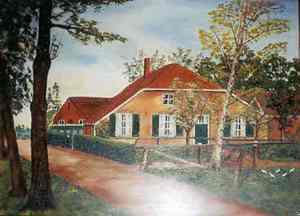 We have published a Family Tree where you may search for your known Vinkenvleugel ancestors. Click here to search it! We have added some old family pictures to our Photo Album and will add more as we get them. Click here to look at them. Comments and questions: You can post your comments and questions directly on our website! This feature will enable you to read and respond to other comments or questions that have been posted as well. Click here to try it out! Would you like to be notified when we revise this site? This site is constantly changing. If you wish to be notified of revisions, please enter below your E-mail address. As soon as you complete this simple registration process, an E-mail will be delivered to you stating that you have successfully registered this page with "URL-minder". Additionally, whenever this site is updated, "URL-minder" will send you an E-mail telling you that this page has been changed. All material on this website is � Copyright 1998 - 2003 by Wide World Web International, except where otherwise specified. Permission is explicitly granted to create hyper-links to any of this material and to download or print it for personal use. No other use may be made of this material without express written or E-mailed permission. Another Internet solution provided by Wide World Web International!